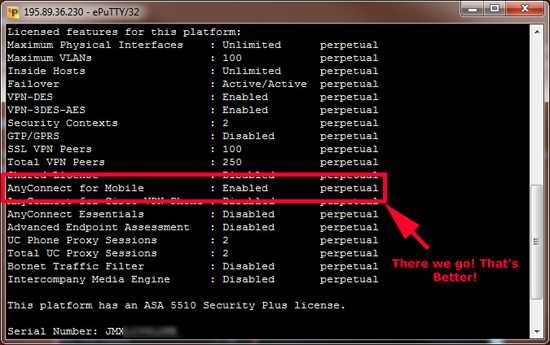 While using the Android/Cisco Anyconnect App/Client you receive the following error. 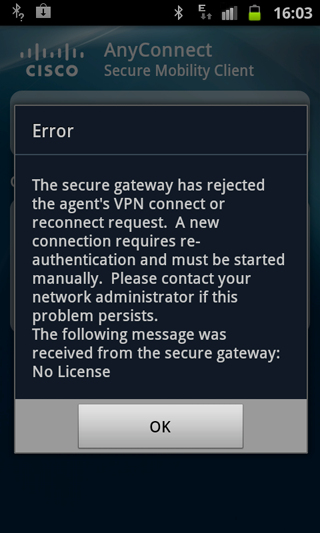 The secure gateway has rejected the agent’s VPN request. A New connection requires re-authentication and must be started manually. 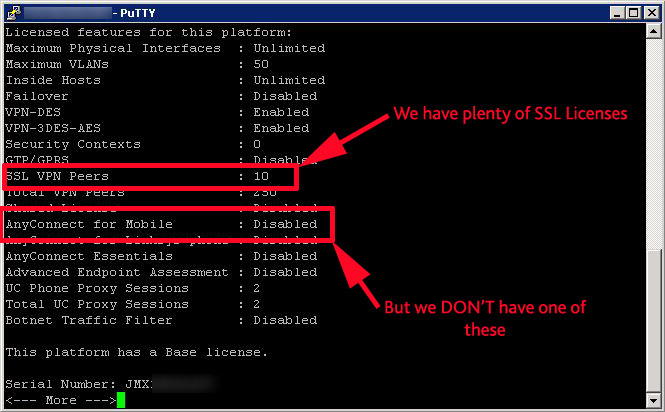 Please contact your network administrator if this problem persists. The following message was received from the security gateway: No License. The most pertinent information above is the last two words of the error message "No License"
This DOES NOT mean you have ran out of SSL/AnyConnect Licences! This licence is a "One Off" purchase and will enable the feature on your ASA, be aware the licence is different for each model make sure you purchase the correct one! AnyConnect Mobile, (or AnyConnect for Mobile) licence details can be found here. Below is the section we are interested in. Once the correct licences are installed this is what it SHOULD look liike.